A poll of 2,000 adults revealed numbers, statistics and keeping on top of financial matters sends many of us into a panic, and that has left 43 per cent admitting they wish they had concentrated more on the subject when they were at school. Others said they wished finances, numeracy and budgeting had been a bigger part of their life at home and school when they were younger to avoid difficulty later on in life. Four in 10 of the parents who took part in the study even admitted they avoid helping their children with maths homework because they know they will struggle. Only one in five parents said they feel ‘very confident’ when helping their kids with secondary school maths work – and one third said believe they’d be better at this if they had a better understanding of maths. 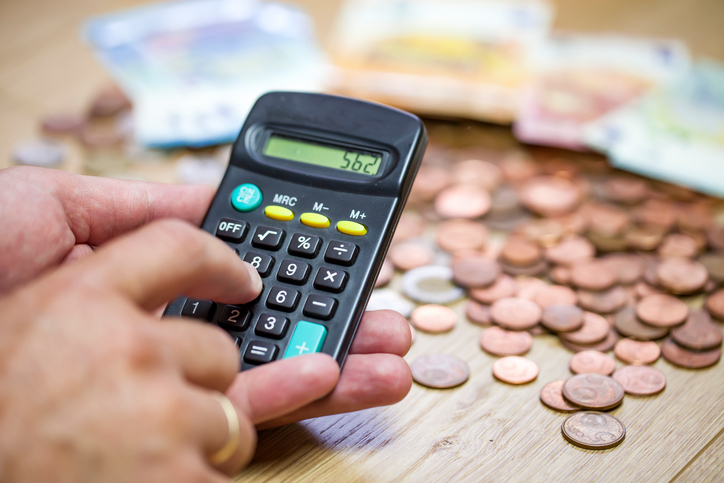 Fear of numbers also appears to have a knock-on effect with household finances, as 40 per cent of Brits – 20.4 million – don’t feel fully confident with everyday budgeting and money management. The younger generation are particularly susceptible to this problem, with Generation Z (18-24) having the least confidence when it comes to money management, followed by millennials (24-38). The research was commissioned by Santander, official sponsor of the UEFA Champions League, which is launching an educational football-themed roadshow – The Numbers Game – to raise awareness of the importance of numeracy and its role in everyday life. British football stars The F2 Freestylers will be accompanying the roadshow on various dates in a bid to engage the nation. How many points do you need to win the league or qualify for the UEFA Champions League? Will goal difference matter? Are we mathematically safe from relegation? As we enter the business end of the football season, it is all about the numbers and that requires skill. We want to encourage greater appreciation and application of these numeracy skills in everyday life – especially when it comes to managing money and household budgeting. We should all be concerned about the amount of young people who do not feel in control of their finances and, while there is no quick fix, we want to help raise awareness and improve numeracy through football’s widespread appeal. We’re really excited to be touring the country with Santander to help inspire more young people with the power of numbers. Maths might seem to some like a dry school subject, but it’s so important to our everyday lives – whether it’s keeping on top of the latest football stats or looking after your finances. The study, conducted via OnePoll.com also revealed 40 per cent would advocate football as a means for themselves or their child to gain a better understanding of numbers. Santander UK’s partner, National Numeracy, provides an online challenge helping users check their numeracy levels. The Numbers Game roadshow will visit various cities across the country in conjunction with the final stages of the UEFA Champions League tournament and a special event featuring the F2 Freestylers will be held in London to mark National Numeracy Day on May 15. 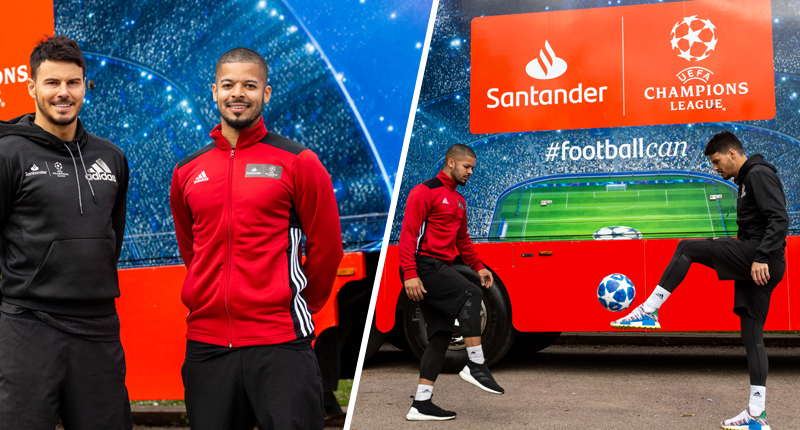 Santander will provide all users of the challenge a chance to win a host of UEFA Champions League prizes, including tickets to matches and a chance to meet and greet the F2 Freestylers.